Police say the track coach, Branden Helms, had sexual relations with a minor he met at the school. Beaverton Police say a track coach from Sunset High School had a sexual relationship with a 16-year-old female, and an investigation, which began June 26, is ongoing. 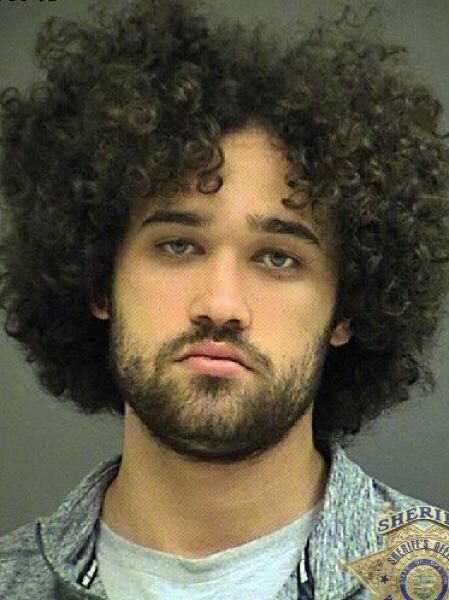 Police say Branden Michael Helms met the girl at Sunset, where he coached. They say Helms and the victim had a sexual relationship for approximately two months. John Huelskamp, Sunset principal, released a letter to the community listing Helm as a "casual labor assistant track coach" and not a member of the Sunset faculty. A Washington County Grand Jury indicted Helms on two counts of luring a minor and four counts of second-degree sexual abuse. Beaverton Police arrested helm on Tuesday, July 10. "Yesterday we learned that Branden Helms, a casual labor assistant track coach for Sunset High School was arrested for having an inappropriate sexual relationship with a female student-athlete. Mr. Helms was not a Sunset teacher nor served in any other role for our school. All coaches and staff are required to pass a criminal background check. "Investigators believe this to be an isolated incident. However, we want to make sure that all families are made aware so that if there is any additional information it can be brought forward to Beaverton Police detectives at 503-629-0111 immediately." Beaverton Police also have requested that people with information relevant to the investigation call that number and speak to a Beaverton detective.